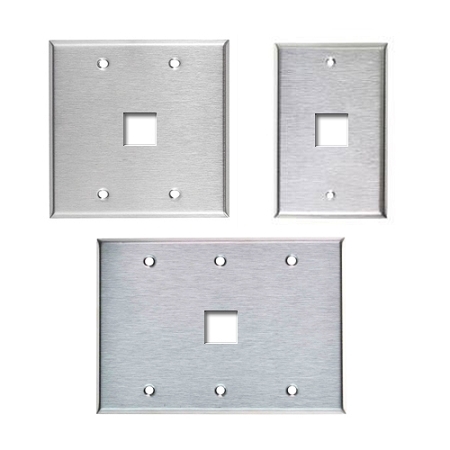 The low-profile stainless steel wall phone wall plates are extremely strong, reliable, and will attach to your wall mounted phone sets securely so that your phones are protected from harm. 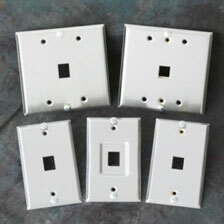 Legacy keystone style, flush mount, and offset versions are different models that we have available. 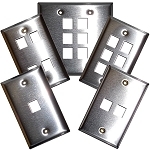 Aluminum, Brass, Bronze and other materials can be custom made for you. 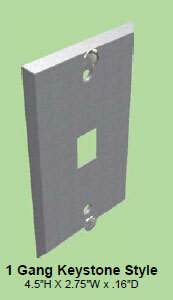 These Wall Phone Stainless Steel Wall Plates are great for use in hospitals, mechanic shops, warehouses, and offices. 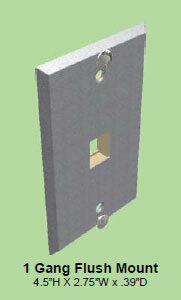 *Accepts Allentel, Belden, ICC, Hellermann Tyton, Leviton, Panduit Netkey and many other keystone style jack/inserts. 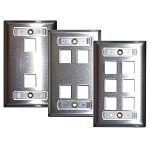 These wall plates are also available for Hubbell connectivity. 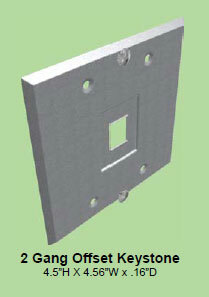 **Also accepts Superior Modular® KMJ jacks.